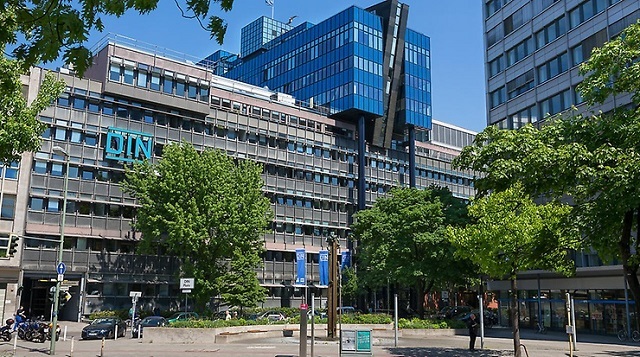 Hosted by DLR, the CCSDS Fall 2018 meeting series will be held in Berlin, Germany at DIN Deutsches Institut für Normung e.V.. The main technical meeting series will be held 15 October - 19 October 2018 and will be followed by the CESG and CMC Meetings, which will be held 22 October - 25 October 2018. As always, Dress for the Technical Plenary meeting is Business Casual. Nearest main-line railway station: Hauptbahnhof, approx. 10 minutes by S-Bahn (city-rail) to Zoologischer Garten in direction Westkreuz. From there a 10 minute walk, or by Bus 100 to Bayreuther Straße. Nearest regional railway station: Zoologischer Garten, approx. 10 minutes walking distance or by Bus 100 to Bayreuther Straße. From the airport: Tegel: Bus 109 or Bus X9 to Zoologischer Garten; Schönefeld: Airport-Express or S-Bahn (city rail) S9, changing at Ostkreuz to any train with destination Westkreuz, Potsdam or Spandau, getting off at Zoologischer Garten. Parking: For security reasons, use of DIN's underground parking facilities (access at Budapester Straße 31) must be notified beforehand. If you wish to park your car there, then please advise the Secretariat at secretariat@mailman.ccsds.org, at least three days before the date concerned. Berlin Welcome Card: The Berlin WelcomeCard is a city transport pass available for prepurchase online at https://www.berlin-welcomecard.de/en. The Card is available in a variety lengths from 2 to 6 days. The Card is also available for either Berlin City Center (Tariff AB) or Berlin City Center and the surrounding area including Potsdam (Tariff C). Please note that Schönefeld Airport is located in this extended area. All Cards also include a city guide, city map, and discounts of up to 50% for more than 130 tourist and cultural sights. The Berlin WelcomeCard can also be purchased at Tourist information/Berlin information stores, public transport sales points in Berlin, the Lufthansa City Centre at both Berlin airports, and from public transport ticket machines. It is recommended that attendees make use of local Public Transportation System within Berlin instead of renting a car! For the public transportation system, Berlin is divided into several “zones”. The zones you will need are A (Berlin’s whole inner city including the S-Bahn-ring –S-Bahn is a fast city train) and B (reaches up to the city boundary). Zone C extends to the city of Potsdam and includes Schönefeld Airport and the Sachsenhausen Memorial. You can find an interactive map of the route network (underground and city train) by Clicking Here. The Brochure includes emergency instructions, parking information, and a building map. Obtain your visitor pass at the reception desk in the DINPlatz/Burggrafenstrase lobby or the Budapester Strase lobby. Please keep your visitor pass visible at all times. When you leave the building, return your visitor pass to the boxes at the door designated for this purpose. At the reception desk in the Burggrafenstrase lobby DIN provides lockers for storing luggage during your stay. These lockers also have electric sockets. If you do not use the lockers, please keep your luggage with you at all times and do not leave it unattended. WiFi is available in meeting rooms, the Bistro, the in-house restaurant and in the lobbies. Your contact partner at DIN will give you information regarding WiFi Access. Lunch will be available (registrants must pay) in the areas between the meeting rooms on the same floor. Coffee Breaks: Coffee will be served in the areas between the meeting rooms. All the meetings Rooms are located on the ground Floor, the building can be accessed from both sides (Burggrafenstrase and Budapester Strase), but the main entrance is over the Burggraffenstraße. All the meetings rooms are located on the ground floor and are adjacent. Only the plenary session on Monday morning will use the meeting room on the 9th Floor. The CCSDS Secretariat will be holding a training bootcamp in CCSDS document-development procedures, which is required for all CCSDS technical editors and recommended for WG chairs. Other WG participants are welcome to attend as space permits. Please see the registration form for dates and times. Should any meeting attendees still be in need of a letter of invitation or Visa letter for the meeting, please contact the Secretariat at secretariat@mailman.ccsds.org as soon as possible. We will continue to post all of the latest meeting information as soon as it becomes available. Please check back. Thank you for your interest.